Despite multiple options, Harris says that Hi-Rez chose to maintain other elements that stem from Paladins, including mounts, various different roles, and team-play. Harris says all of those are “kind of consistent with our overall idea that we do want the encounters and the play of champions to feel consistent with the Paladins that millions of players are used to,” rather than an experience that was more similar to a different game. 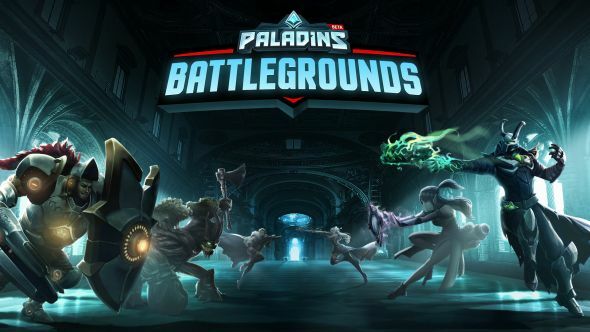 Despite the proximity to Paladins, however, Harris says that “Paladins: Battlegrounds is unlikely to have “formal esports scene.” The logistical challenges of creating a continuous 100-player competition mean that a regular competitive league is unlikely, but that “we’ll let the community guide us with that.” Far more likely is the existence of occasional competitive tournaments, which Harris says he has “no doubt” we will see. He also says that he “would not be surprised to see” paid competitive tournaments at Hi-Rez Expo next year.